You may at any time exercise your rights of access, rectification and cancellation by request addressed to Servytronix C.Torres Moreno, S.L. Servytronix C.Torres Moreno, S.L. it undertakes to comply with the duty of secrecy and confidentiality with respect to the personal data contained in the automated file in accordance with the applicable legislation. The data of the users through the forms enabled for this purpose on the website are collected by Servytronix C.Torres Moreno, S.L. with the purpose of facilitating the provision of services that Servytronix C.Torres Moreno, S.L. provides through www.servytronix.es, which is none other than to facilitate communication between customers and users and our company, reporting training courses, job offers or other services that may be of interest to the user. The sending of personal data through the use of electronic forms or, where appropriate, email messages, implies the express consent of the sender to the automated processing of the included data, as well as the sending of electronic communications with information related to Servytronix C.Torres Moreno, SL and its initiatives. • Royal Decree 1720/2007, of December 21, approving the Regulation for the development of Organic Law 15/1999, of December 13, on the protection of personal data. and has established all technical means at its disposal to prevent the loss, misuse, alteration, unauthorized access and theft of the data provided by the user through the website. However, Servytronix C.Torres Moreno, S.L., informs you that security measures on the Internet are not impregnable. 8. Information for the purposes of the LSSI. The owner of this Website is a Limited Company incorporated under the limited company law. 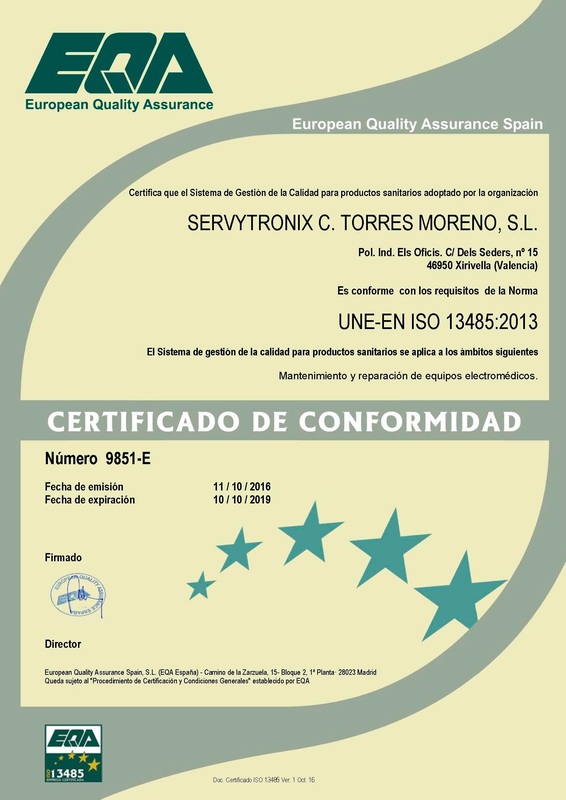 Servytronix C.Torres Moreno, S.L., S.L. registered in the mercantile registry of Valencia, Volume 2149, seat 564, diary 202, page 113. The main objective of this website is to provide clients with solutions for medium-sized companies or potential customers of our commercial information products and services, which may be of interest to them.